When children of God pass away, their loved ones have the hope that they will see them again soon. That is one of the blessed assurances of having faith in the Christ who we celebrate during this holy Christmas season. 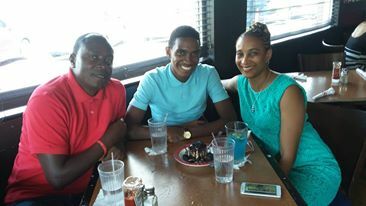 Family and Faith Magazine is very pleased to share the hope and heart of the parents of 18-year-old Dominic Alessandro James who passed away suddenly while doing what he loved earlier this year. Known among his peers to be a young man of faith, Dominic’s Christian walk was solid for good reason since both his parents also dedicated their lives to the Lord from a young age – David, his father at age 16 years and Denise, his mother at age 10. They maintain that “God is the foundation and head of our household” and that “we pray about everything.” The couple who will be celebrating 26 years of marriage this December has been members of the Maverley Gospel Hall and over the years they have served in various ministries including sports, camp counseling and the choir. Fun and relaxation for the Christian family was mainly centered around Dominic’s football activities – training, matches (schools and clubs) and watching European football on TV as well as eating out with friends, driving to the country to visit relatives and travelling overseas when possible. But outside of his football activities, who was the exemplary young man whose sudden passing broke the hearts of so many Jamaicans? His devoted parents share with Family and Faith Magazine. FFM: Tell us about Dominic as a son, a footballer and as young man who believed in God. David and Denise: Dominic was a well-behaved child. We believe that came from the fact that from his early years he was a good listener. He would process information, ask a question or offer some argument or analysis if he was not convinced. Over the years, coaches in particular would comment that they could rely on him to listen and execute instructions whether in training sessions or in competition. Often, for example in church, when one would believe he was not paying attention, he would later surprise us with a comment about the sermon or a question about something that happened during the service. This was also displayed in his wide knowledge of sports. For one so young he could regurgitate historical and current facts about team and individual performances, wages of professional players/athletes and coach statistics. He was a strong-willed person, had his own view and opinion on everything and articulated it with decisiveness and confidence. As a footballer, he was dedicated to the sport, committed to his team, a student of the game. He was always seeking to improve his game and was his own harshest critic. He would always humbly listen to and accept comments or criticism from persons no matter who they were. Of course, he would then analyze, process and determine what to take seriously and what to discard. Illness and serious injury were the only things that would keep him off the field. Football was his life. If he was not on the field of play, he would be watching it on TV or YouTube, reading about it or playing FIFA’s latest edition on the Xbox. Dominic’s belief in God grew with him. As he experienced answer to prayer and saw and heard about how God works, his own faith increased even more than we his parents knew. We were truly blessed to hear his peers speaking of his encouragement to them to pray about their own issues and to trust God. We found this remarkable. FFM: How does your faith in God help you to come to grips with the passing of your beloved son? David and Denise: Our faith, along with the prayers of many faithful persons, has certainly upheld us from the very first moment of his passing. Without it we would not be able to share this testimony. Although we have not fully come to grips with his departure, God has definitely been our supporter, comforter and burden-bearer. Words fail us. It is at this time that we learn the importance of establishing your faith so that when the hard times come we can stand. (I Peter 5:10). Additionally, we have the assurance that we will be re-united with Dominic (II Samuel 12:23(last sentence) “I will go to him, but he will not return to me.” Thank you to all who have been praying for our strength you prayers are being answered. Please continue to intercede on our behalf, as it is a very challenging journey. FFM: Did Dominic like, enjoy or look forward to the Christmas season? What did he like most about it? David and Denise: Dominic looked forward to Christmas morning service at church, especially the breakfast. The Christmas Holiday was also a break from the rigors of school and training. It was the respite between school-based and club competitions. He liked to hang out with his friends and visiting various family members. FFM: What will you do to remember Dominic during the holidays? David and Denise: We will visit his graveside – not to be morbid but to remember him especially at this time. 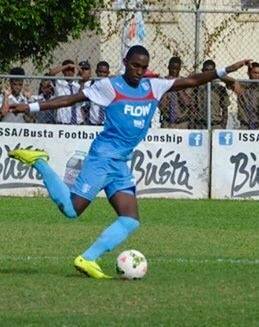 FFM: What do you want Jamaica and the world to remember most about Dominic? 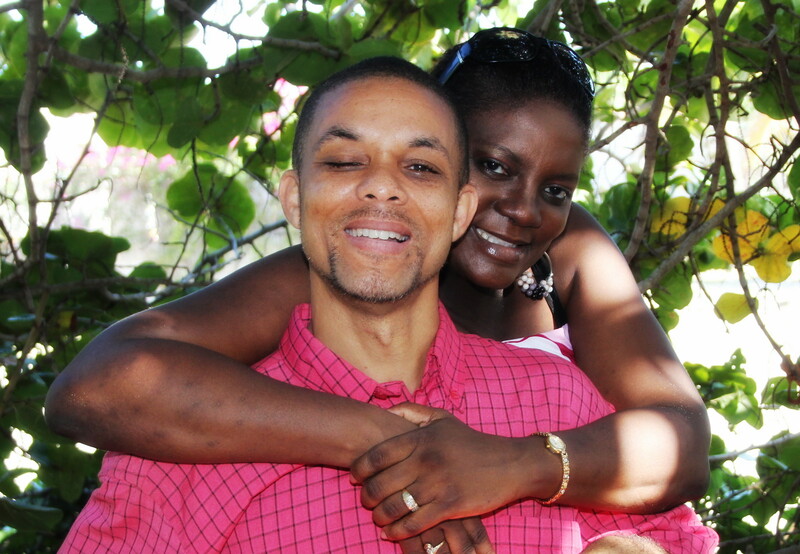 David and Denise: The world should remember Dominic as an example of what a young Jamaican man represents. Too often we only get the bad news. 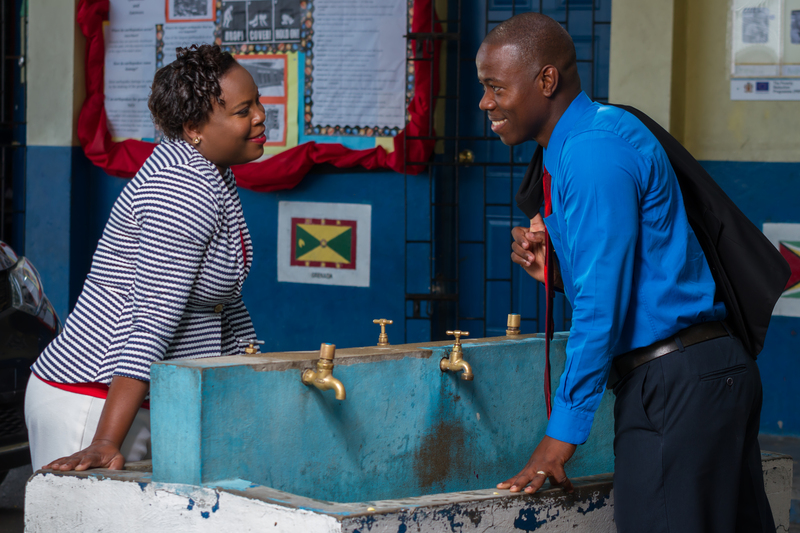 Everyday across Jamaica there are young men who are achieving great, positive things. We hope Dominic’s passing will encourage these young men to continue to pursue their dreams even if it takes the world a while to notice, and to make use of the opportunities afforded them in school and in other spheres of life. We hope the young Christian men will recognize that it pays to live up to the principles of the Bible and to be encouraged to share their faith with others. We want Jamaica (in particular the young men) to remember Dominic as a young Christian man who set his goals and worked assiduously toward achieving them. He recognized the importance of maintaining a high academic and intellectual standard while excelling in his favourite endeavour. Additionally, remember him for how he treated people of all levels with respect and love. He earned the recognition of his peers, teachers, family, coaches and many others simply by being himself and displaying the humility and fixity of purpose for which he has become well known. send comments to familyandfaithmagazine@gmail.com or comment below. With a smile as disarming as his warm personality, William Mahfood, Chairman of the Wisynco Group and former President of the Private Sector Organization of Jamaica, has earned the trust and respect of many Jamaicans, especially with his stable compassionate leadership of the Wisynco Group after the devastating fire earlier this year. For our Christmas edition, Family and Faith Magazine is very pleased to provide a glimse into his heart, mind and life as a business titan and a man of faith. FFM: What do you love most about the Christmas holidays? William Mahfood: It is a time to celebrate the fact that Jesus came and was born to save us from eternal sin. It is also a special time for family to get together and celebrate and give thanks. FFM: Tell us about your most heartwarming Christmas memory. William Mahfood: I think one of the most memorable Christmases was when my entire family went and stayed in Port Antonio. My three sisters were there with their families and having all of them and my parents and children together was very special. FFM: What is your wish for Jamaica in 2017? William Mahfood: I wish that there will be justice for our people, that our leaders put the people of Jamaica in front of their own personal needs and desires, and improve the quality of our education/health and security systems for a better country. FFM: How does your Christian faith impact your life as a businessman and as a leader? FFM: What advice would you offer young entrepreneurs who have a big dream for business in 2017? William Mahfood: Be true to yourself, never cut corners on the values that are important to sustaining any business, focus on the development of your people and relationships with your customers. Family and Faith Magazine: How important is prayer in your life? Dr. Wayne Henry: Prayer is extremely important. With the word of God (the Bible), prayer forms the core of my Christian life and experience. Family and Faith Magazine: What role does faith play in your life as a respected professional, as husband and father? Dr. Wayne Henry: At the risk of sounding very spiritual, the Bible says that the just shall live by faith (Hab. 2: 4, Rom. 1: 17, Gal. 3: 11). I have found that to be true in my life. Faith in God has become a way of life, governing the expanse ranging from my day to day expectations, to the long-term outcomes I anticipate for my life, the lives of family members, friends, the future of the country, everything. Isaiah 26: 12 (nv) says that all that we have accomplished, the Lord has done for us. So whether it is in goal-setting, being armed with the right attitude, in striving for excellence, moving on from failures and disappointments, or achieving favourable outcomes, for me it’s all about faith in a loving God. “Trust in the lord with all your heart and lean not on your own understanding; in all your ways acknowledge him, and he will direct your paths (Prov. 3: 5 – 6). Family and Faith Magazine:What do you love most about being a father and why? Dr. Wayne Henry: Being a father is a tremendous privilege and a huge responsibility. There are many things I love about being a father. Among them, I love the opportunity I have with my wife to build a loving family, to partner with her in demonstrating love, setting example and building a home. Many things… but I think I love most the deep love and joy I experience through my relationships with my wife and children. They are truly a blessing from the Lord. Family and Faith Magazine:What are the 3 most important functions you believe you must perform as a good father? Dr. Wayne Henry: The 3 most important functions as a father are: (1) to be present (spend quality time with your children – more than things, children want your presence). This also enables (2) to model – set example for them – live before them. Demonstrate love, hard work, discipline, faith in God, service to others. Don’t just dictate but demonstrate. This is part of mentoring. (3) motivate- encourage them in their purpose, speak to their potential, the power that lies within them. Encourage them that they have what it takes to live their life fully. Family and Faith Magazine:If you could go go back in time and offer advice to your 16 year old self, what would you say? Dr. Wayne Henry: Give God full control of your life, there is so much good that he has in store for you, according to his purpose. Give him that permission and that chance to unfold what he has in mind for you, what he has destined from long ago. There will be mountains and valleys, heartaches as well as rejoicing, sunshine as well as dark days. But in the end all things work together for good to them that love God and are called according to His purpose. Allow God, invite Him in, and fasten your seatbelt as you press the pedal of your potential. Dr. Wayne Henry is the new Director General of the Planning Institute of Jamaica. He has been married to his beautiful ophthalmologist wife, Gail for 9 years. He has an older son, Matthew (28 years). 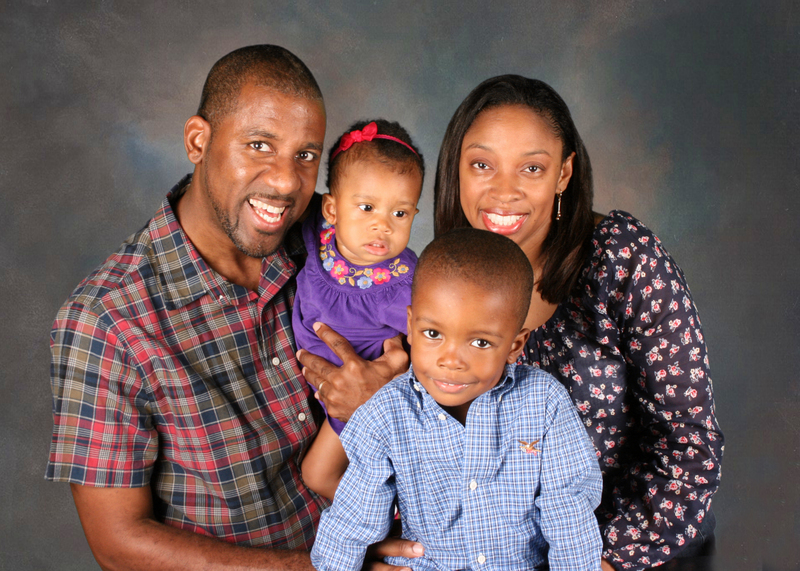 Together Gail and Wayne have 2 children, Joshua (7 years old) and Gabrielle (5 years old). Samantha has been running from the power of her voice for a long time. 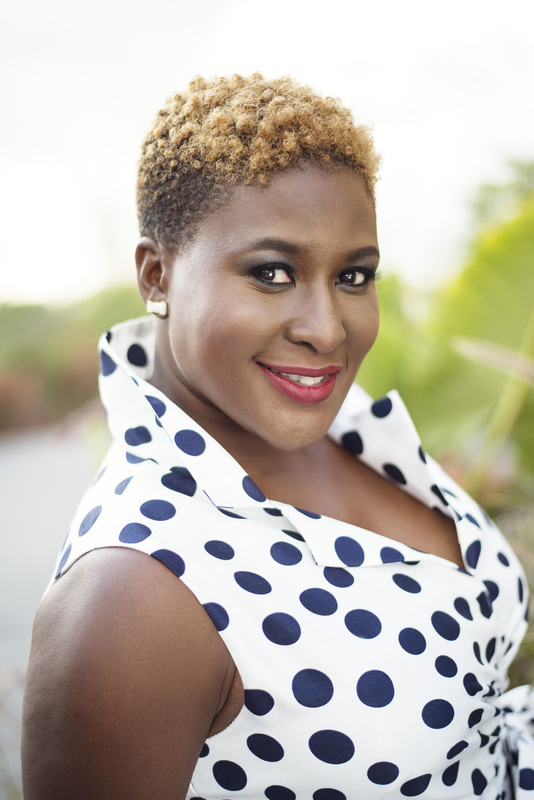 Although she was awarded with several national awards and a coveted music scholarship to the Edna Manley School of Performing Arts, while attending high school in Jamaica, she chose to pursue an academic scholarship for her college degree. While on campus, the UK born songstress, became known as “the girl with the golden voice” but she kept on running. The opportunity to live in and travel to various Caribbean islands, has taken her voice from Jamaica to the shores of Trinidad and Tobago, the Cayman Islands, St. Lucia and Barbados and she has shared stage with Yolanda Adams, CeceWinans, Donnie McClurkin, Kirk Franklin, Mary Mary and many others. 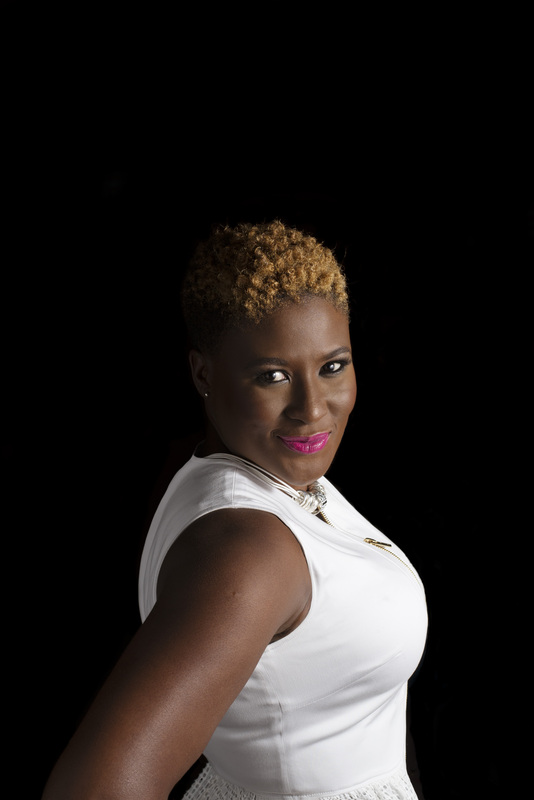 As a creative writer she has written, directed, presented and produced various Caribbean Radio and TV productions. Between her medical career and her time as a marketing director she has often shared her gift through ministry in churches and at Gospel and Jazz shows in the islands but she would always return to her academic pursuits. But one day death came knocking and Samantha could run no longer. After two life changing surgeries she became more determined than ever to devote her voice to the glory of God. As she turned her heart to God in 2014 she received more songs for her debut album “Stronger.” Her heart of worship is exposed in raw melodies that reveal the joy and pain of the Christian journey. The message of the project is as simple as her mission “to connect hearts in worship to God empowering them to live their best life”. 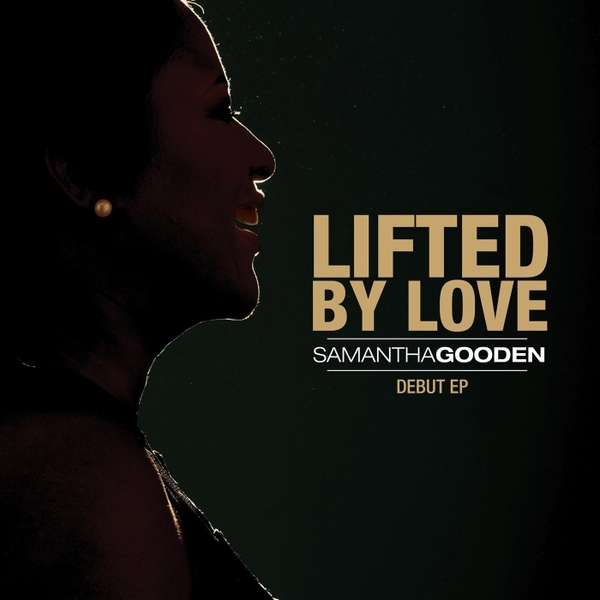 In April, Samantha debuted an EP called “Lifted By Love” as an introduction to the “Stronger” album set to be released this Summer. Family and Faith Magazine is delighted to connect with the woman of God behind the voice. Below is an excerpt of our email interview. Family and Faith Magazine: Describe the circumstances that led to your walk with the Lord? Samantha: I was 13 years old and had just moved to Jamaica with my family. I had no desire to be baptized. In fact as a young girl who had moved from the UK with her family, I was quite intimidated by the powerful young people who showed such passion for God. That wasn’t the case where I came from and I was afraid to become a young Jesus fanatic. Church seemed filled with old “uncool” people and I did not want to be a part of that. Yet I always felt the pull of God on my life. You can imagine the conundrum for my young mind. But I told God that if I ever went to the altar and cried that I would immediately get baptized. It sounded like a good deal to me because I always went to the altar at my church in the UK, I mean I loved to be prayed for; I still do. But none of my trips to the altar yielded tears. So imagine my chagrin when my first trip to the altar at church in Jamaica yielded tears! The elder came and asked me if I would like to be baptized and I felt a lump in my throat and then I felt the tears coming. And that night in December, I got baptized. Family and Faith Magazine: How do you know for sure that God is real? Samantha: There are many personal instances of times where God has shown me His love and power. One that stands out in my mind was while I was recovering from my near-death experience in a hospital bed in Trinidad. I spent weeks of insomnia on morphine, with tubes all over my body as I recovered. In that time I was given a message for a friend; the kind of message that included some intimate details of his life that I could not be privy to since I was stuck in a hospital bed in another part of the island. So when I was well enough I gave him the message and he looked at me in awe and then shock and told me I was lying. He tried to convince me that I was delusional. He left me crying, thinking I was going insane. A few moments later he returned and confessed that everything I told him was true and that he would surrender his life to the Lord…You know the more I think about the answer to this question the more answers come. I’ll stop here though. Family and Faith Magazine: Many young ladies in the church feel left behind because they haven’t been able to find a suitable spouse, but you seem to be truly living a full life. How do you feel about your own singleness? Samantha: Well I think the first thing to address there is the “finding a suitable spouse.” I used to be of that paradigm, looking in church for “the one” to visit my home church from glory, riding a white horse, carrying 12 red roses too! LOL. But in that mental and emotional space as single women we relinquish the possibilities of living in a fulfilled way because we’re always thinking that fulfillment is somewhere on the outside of us, when it is the other way around. In my journey as a single Christian and one who has been in several relationships, I’ve seen how I surrender my virginity and the appreciation for all God has made me to be hoping that “the man” would come. I now live an unashamed celibate life doing the things I love. I don’t feel like less of a person because I am not in a relationship because I know that the guy who controls the universe controls my life. He knows the things I have to deal with to be ready for the stage after singleness. I know what it is to hate myself and my talent, I know what it is to feel like less of a person because no man wants me, I know what it is to not want to go to church cause its gonna be another Family Sunday but I also know what it is to realize that in accepting that I am fearfully and wonderfully made it means there are wonderful things in store for my life. So I explore and go on adventures because that’s the life of fulfillment for me, it keeps me grounded, it helps me with endorphins and keeps me happy and I am always learning new things about myself. I’m in wide-eyed amazement most of the time! Family and Faith Magazine: Many women have 1 or 2 insecurities. Do you have any? If yes, how have sought to overcome? Samantha: Wow this is a biggie. I have many insecurities, several of them I have addressed but this is one that occasionally comes back to haunt me – it’s the one about my beauty. I recently cut my hair and the way I grew up “a woman’s hair is her beauty” so cutting my hair to centimeters from my scalp was a scary process for me. It was an act of necessity but in that moment, I started to think about my beauty and get concerned about the shape of my face and whether people would want to relate to me with no hair. The size and darkness of my beady eyes, the shape of my nose and the color of my skin came into question. References of beauty that I didn’t think of had come to the surface. So to overcome it, I reached out to some of my friends who had done something similar and asked them some of the hard questions. I asked them what motivated them to make the move, how they felt about it and I shared my fears with them. These supportive women from around the world walked me through it and were the first ones to see what I looked like with no hair when I made the transition. Family and Faith Magazine: Do you have spiritual mentors that help to keep you focused on God’s calling for your life? If yes, share how those relationships empower you today. Everton and Jillian Thomas – they believed in my ability to sing and minister even before I did and gave me platforms to share my gift. They helped me hone the talent both on and off the stage. Grace Silvera – I worked with her as one of the first highly influential women in the corporate world who was willing to openly live and share her faith. She found subtle and direct ways to mentor me professionally. Sam Vassel – he is my Big Bro, this guy keeps me grounded and helped me to understand that God loved me not for what I could do with the talent He gave me but that God loved me in an unconditional way. As a person given to performance this was a hard concept to wrap my mind around. 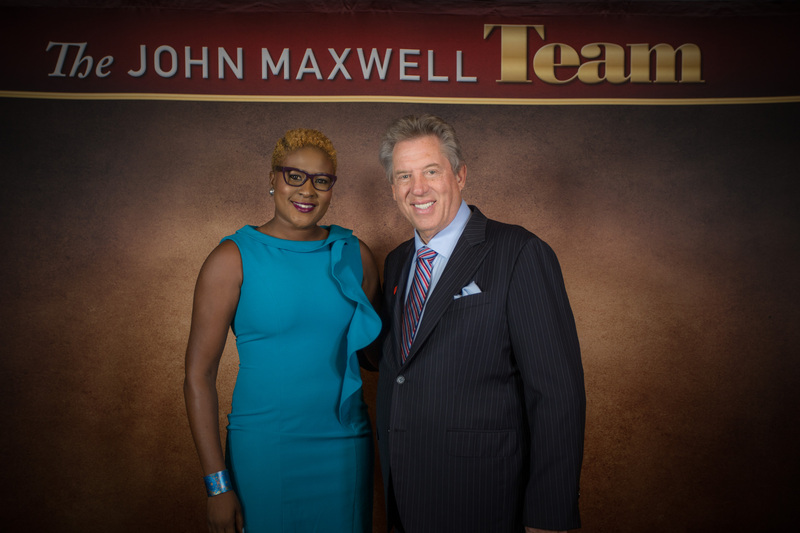 Oral McCook, this guy gave me wings to fly and grow within his organization. He let me learn and grow and refine the creative and management processes in myself. 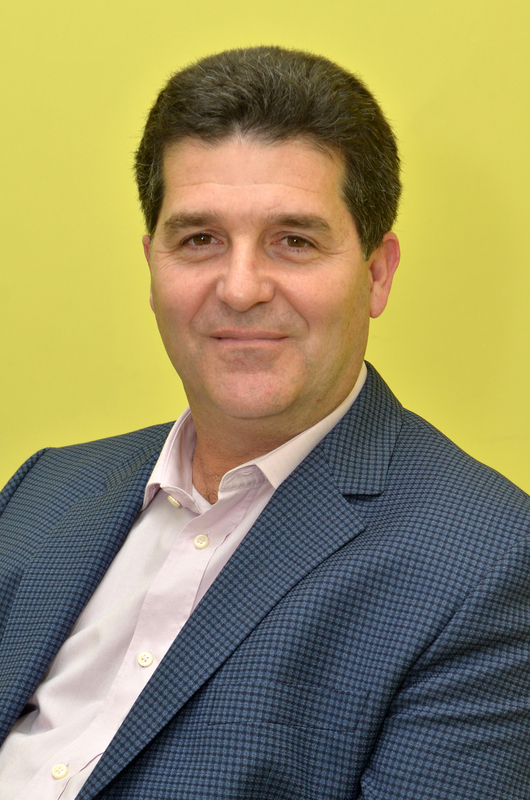 Bobby Allen – he is one of my newest mentors. He helps me with emotional intelligence and awareness of who I am. He is helping me create guard rails for my ministry. He keeps me in check. There are many other relationships like these; with some persons I schedule weekly or bi-weekly calls to ensure I stay on track and meet my goals, yet there are others I speak to only once a year. Regardless of how little we connect there are invaluable people in my life who love, support and believe in me, even when I can’t do it for myself. To get more of Samantha’s inspirational story and to learn more about her music visit her website www.samanthagooden.com. 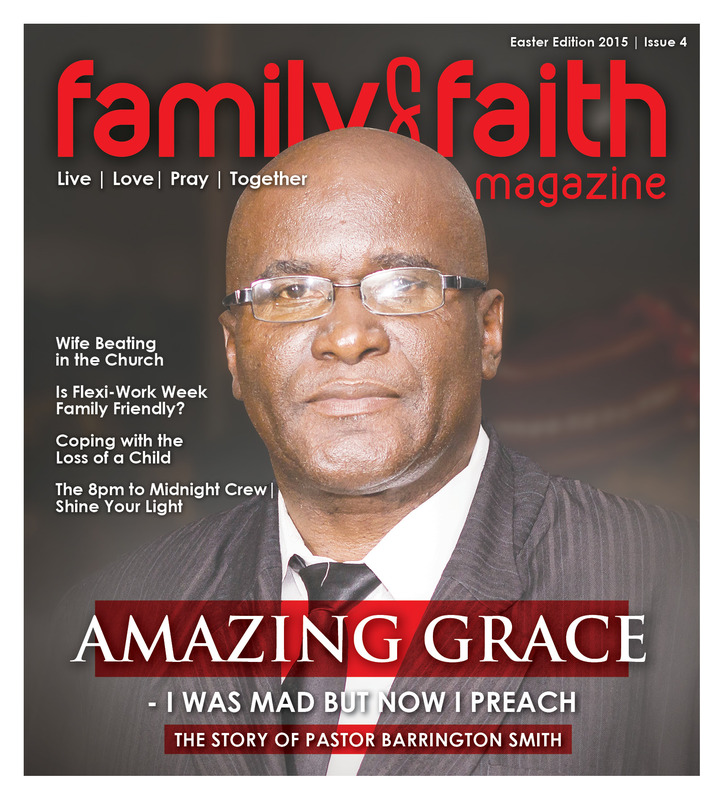 See stories from previous editions of Family and Faith Magazine below. When the Family and Faith Magazine team arrived at Allman Town Primary School in Kingston, we couldn’t help but notice the smart Bluetooth earpiece on Kandi-Lee’s ear, her quiet confidence and sense of assurance and grace as she walked across the schoolyard; instructing a child here, talking with a teacher there. This was no ordinary educator. The petite youthful dynamo is a superlative principal with achievements, awards and accolades to fill the seats in any primary school classroom…and that’s a lot of seats! 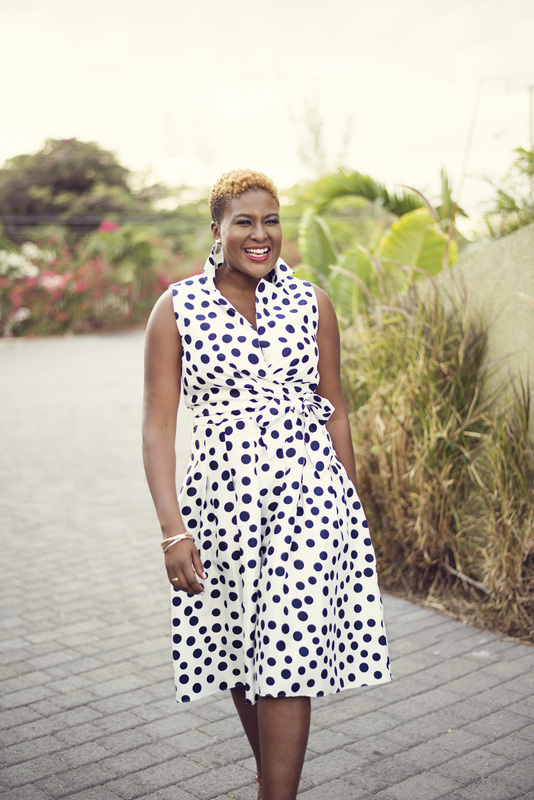 In this Easter Edition, we couldn’t be more pleased to showcase the story of the sweet, humble and considerate Lasco / Ministry of Education Principal of the Year, Kandi-Lee Crooks Smith and how her faith charts her personal and professional success. 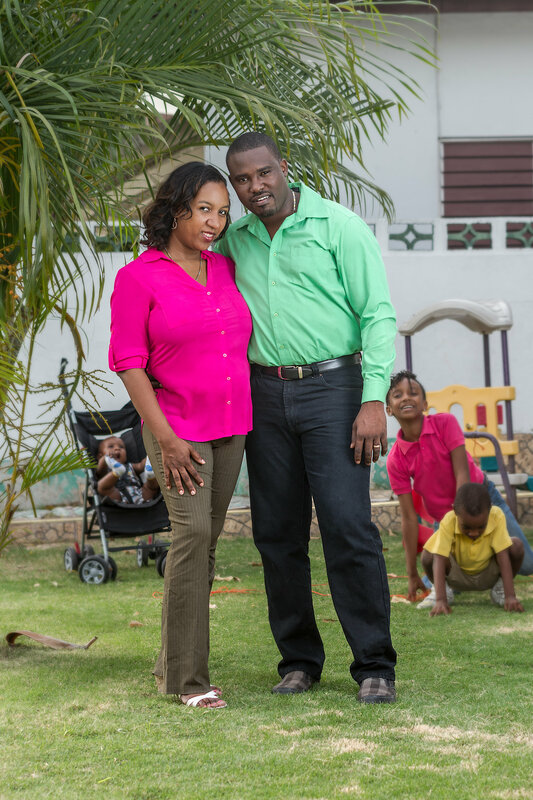 Through the eyes of her adoring husband of 14 years, Kandi-Lee is “such a humble person. I don’t think most people who know her, really know all that she has accomplished and all the awards she has. They are not the stars in her crown,” Oniel Smith told Family and Faith Magazine. “She is always seeking how to help someone else, sometimes giving of her per personal things. I tease her and say she should take the bed to school next, because whatever is needed for the school, the students and teachers to benefit, she is going to get it,” he shared. 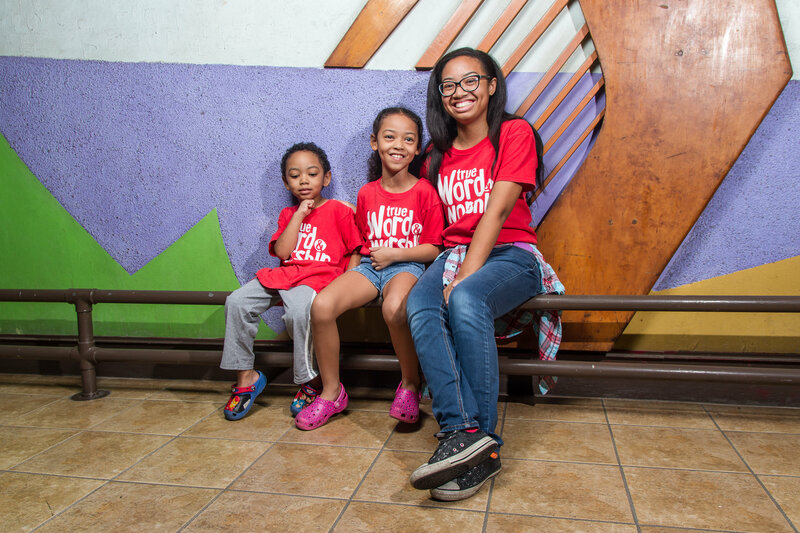 Describing her as “nice to be near, conscientious and kind,” Oniel says the mother of their two children (Jo-Nathan, 11 and Kayth-Lyn 4), “loves from the depths of her being. I know she is tired, but she has a drive to keep going that keeps everyone else going. 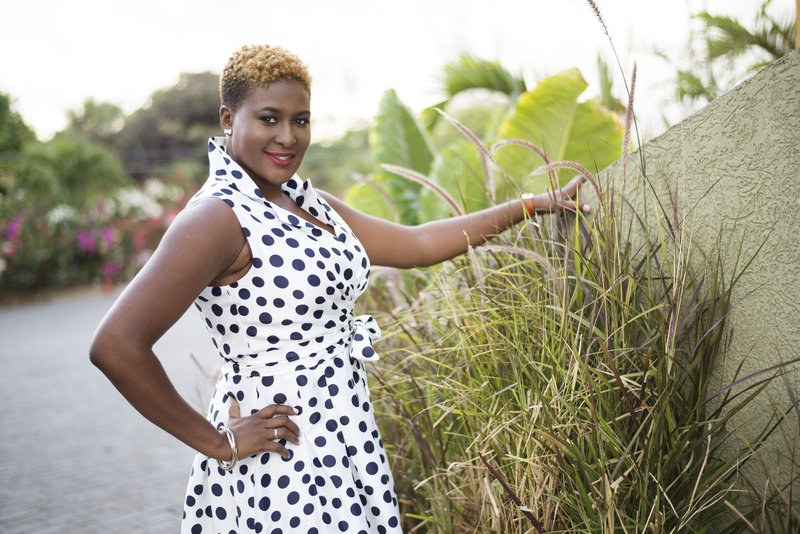 Kandi-Lee is a trained teacher employed to the Ministry of Education in Jamaica. She holds a diploma in Primary Education from the Mico Teachers’ College (Now University College), and a Bachelor’s degree in Elementary Education from the Mount St. Vincent University in Halifax, Nova Scotia. She also has a certificate from East China Normal University and was one of two Jamaican Principals who received a Fellowship- Seminar for Principals in the Caribbean, South Pacific and Latin American Countries – Shanghai, China 2014. 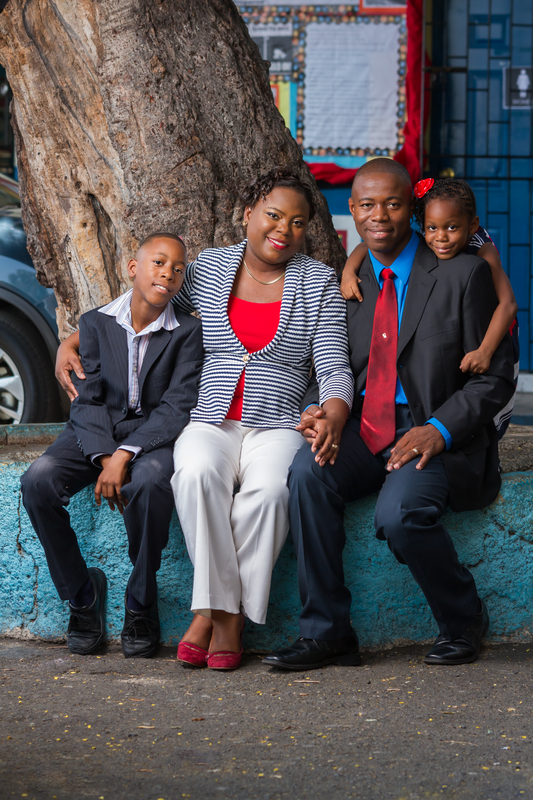 Presently, Kandi-Lee is the principal of the Allman Town Primary School. In addition to her educational prowess, the educator has received numerous awards for her work in education and the development of the Allman Town Community. She has also shared her experience and knowledge through a variety of workshops and seminars. Family and Faith Magazine’s Editorial Director, Shelly-Ann Harris sat with Kandi-Lee to learn more about the lady behind the accolades and achievements. SAH: How has your faith influenced your professional choices? KLCS: My steps are ordered by God. I have always asked Him to lead me and direct my choices. I also have a host of persons who lift me up in prayer. My mom has a sixth sense that is always alert. She will call and give a blessing or a word of encouragement when it’s really needed. I have parents who will call and say they are praying for me. I always wanted to be a teacher; I think it was influenced by my Aunt and the dedication with which she served her students. I remember asking God what I should do after leaving sixth form at St. Andrew High School for Girls. I was not even at the acceptable entry age at the time of application. I was too young. But I was accepted and given an Advanced Placement at Mico, so I went straight to the second year of college. I was living in Allman Town where I grew up and my mother, aunt and grandmother definitely weren’t rich! Mico was therefore my best option financially, but outside of that, it was all in God’s plan for my life. I walked to and from the Mico. I met amazing lecturers who saw value in me, and took me under their wings. There were times I stayed behind or I walked to the college just to get supper from the cafeteria. The cooks began to look out for me. Now there is a bond between Mico and me. This has allowed our teachers and students to benefit from numerous initiatives. Now whenever situations or opportunities present themselves, I place them before God. Like David, I ask ‘Should I go Up, Lord?’ I am constantly asking for His direction. I guess that is a manner of praying without ceasing. It’s that heart to heart conversation that happens even without any forced effort. It’s that subconscious connection that keeps my spirit conscious and my mind conscientious at the same time. SAH: Keep your spirit conscious and your mind conscientious, I like that. Describe for us now your relationship with your students and teachers. KLCS: The students and by extension the parents are very special to me. I think it’s because I understand from firsthand experience what it is they go through on a daily basis. Living in the inner-city has its fair share of struggles and its fair share of hopelessness attached to the struggles. But when students realize that somebody actually cares and has hopes for them to succeed, they begin to have that intrinsic motivation, they too want to excel regardless of their circumstances. They and their parents are appreciative. I have an open door policy for most students and staff, so as long as I’m available they can walk in and have a conversation with me. The students will see me on the corridors, or are in the schoolyard and they will walk up and give me a hug or they start to share some information whether it’s their birthday or a relative has died, their mother got a new job…just about anything. They look forward to being rewarded for the good things that they have done and it doesn’t always have to be something that is tangible or can be bought with money. In fact a smile, a hug, a high five, they appreciate it. I love to give them new exciting and innovative experiences and show them that they are first-class, world-class students because they belong to our school. I always say that I have the best crop of teachers in the world, not because they always agree with everything that I do but because at the end of the day once they see the vision and they understand what our mission is, then they are right there with me. A colleague shared the term ‘followership’ just recently. That is important. Persons follow because they see the wisdom in the leadership and are willing to follow. They might not always agree with the reason or the wisdom but are willing to follow based on trust and mutual respect because they see the results of what that brings. I believe that is what we have. I really appreciate my teachers and support staff members. SAH: That’s quite a beautiful relationship with your teachers and students. Turning now to your family life, what do you enjoy most about being married and being a mom? KLCS: I love having a companion, a friend, a sounding board who is available to me at all times. My husband is amazing. He helps to provide the adventures we need to keep us balanced and grounded. He has a song for every situation. Sometimes he calls and plays or sings me a song, then hangs up. Lol. I also love that at whatever time I am afraid or uncertain, I can call him or send him a message to pray for me. There are times when he physically comes to my office and places his hands on my head or shoulder and prays for me. I love seeing my children happy or excited. We try to provide meaningful experiences for them, and help them to have fond memories. Impromptu trips are my favourite. I love when they try to surprise me, my daughter would say close your eyes mom, and my son tries to speak to me in a French accent! Hilarious bunch they are! They are all my real life teddy bears. SAH: Sounds like a loving family, how is your faith lived out in your family life? KLCS: I can say for a fact that having a family and the expenses related to that, is in itself a daily test of faith. The provisions that are made through other family members and friends can convince anyone that God is real. We constantly tell our children to practice graciousness. Give thanks for the provisions, because many times they are nothing short of a miracle. The decision we made, as to where to send our children to school, did not make sense to many persons, but we asked God to direct us. Oniel and I spoke about it. I prayed about it. Now they are close to us, and doing well in their schools right here in the inner-city. SAH: As a high-performing principal, what strategies do you employ to manage your time so that your husband and children get quality time? KLCS: I honestly think I am still figuring out how to manage my time so that my husband and children get quality time. What has been helping is that fact that we all work and study in the same vicinity. We capitalize on our commuting time, if there is something pressing to discuss, a new song to share (yes the children love to sing like their dad), or a new book to read. We usually attend functions together as well. We sometimes leave the children with their grandmother in St. Ann on our way to a workshop in some other parish, or may have someone from church or a close friend keep them for a few hours.When we go to visit my mother who is abroad, we always try to ensure that our time synchronizes. I know though that it helps that we basically enjoy or participate in the same activities, so that’s really how we spend some time together. Additionally, my husband tries to have lunch with me at my desk as much as is possible. He actually comes and commands me to stop working and let’s eat! I need that sometimes, no, most times. If I don’t get that, I just keep going. Kandi-Lee certainly has a lot on her plate, but with God’s help and the love of her doting husband, she is achieving with grace and humility. May her faith continue to keep her sincere, successful and as sweet as ‘Kandi’! 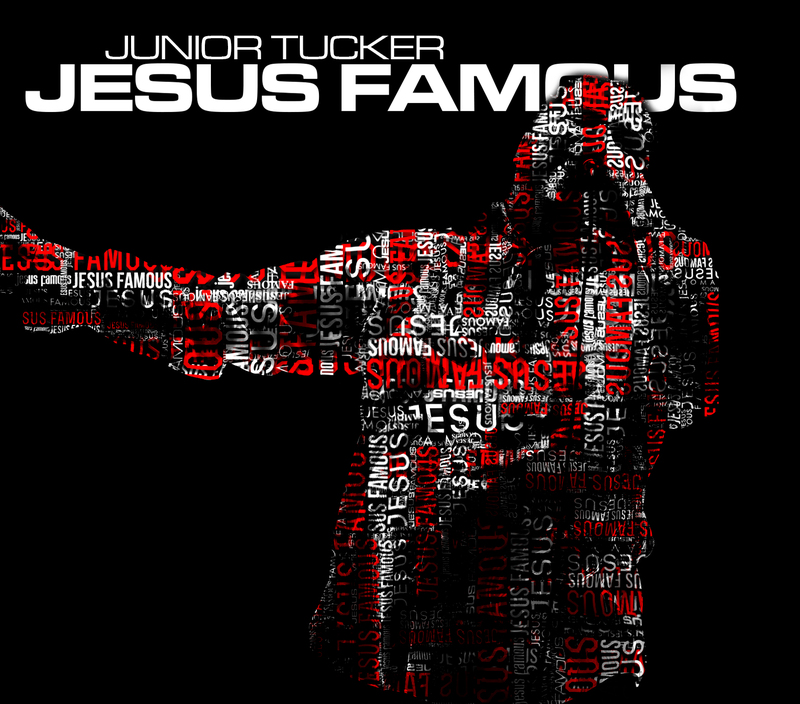 Several years ago Jamaica came to know Junior Tucker as the sensational reggae crooner turned Christian artiste. Few however know that he is now an ordained Pastor who has served for over 15 years in various ministry capacities in churches in the United States and in November 2015 launched True Word and Worship Church in Kingston, Jamaica. The anointed preacher, pastor and worship leader is married to his lovely wife Trudy and the two have been blessed with 5 beautiful children – Chyna, Zoe, Paige, Laila and Judah. 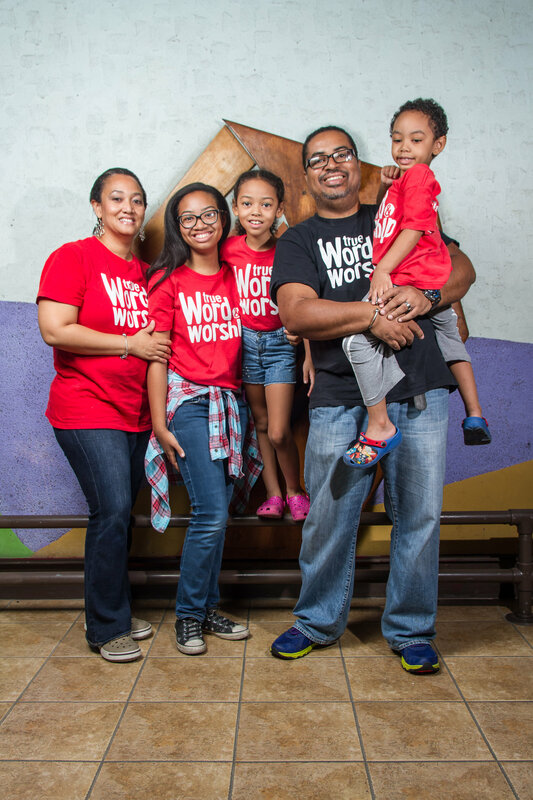 Family and Faith Magazine caught up with effervescent Tuckers to talk church and family life. Although they have countless joyous testimonies to share about the goodness of God, they have also had to weather excruciating experiences that have led them to put their trust fully in God’s sovereignty and grace. A typical Friday evening at True Word and Worship Church in New Kingston is always easygoing, energizing and relaxing all at the same time. With worship led by Pastor Tucker, who is normally donned in jeans, sneakers and a long sleeved shirt, attendees can be seen on their feet singing and dancing in praise and eventually enthralled in heartfelt anointed worship. The worship session is followed by a practical and sometimes hilarious sermon, prayer and oftentimes prophetic words for individuals seeking answers from the Lord. Parents can take their children along with them to church and experience a little break since in an adjacent room, all the kids are hosted by Trudy, a trained teacher by profession and her daughter Paige, a gentle mentor for the younger children. It’s certainly not typical to go to a full church service on a Friday night but the fun, fellowship and freedom are certainly what people had been searching for at the end of the work week. But how did the idea of planting a church come about? 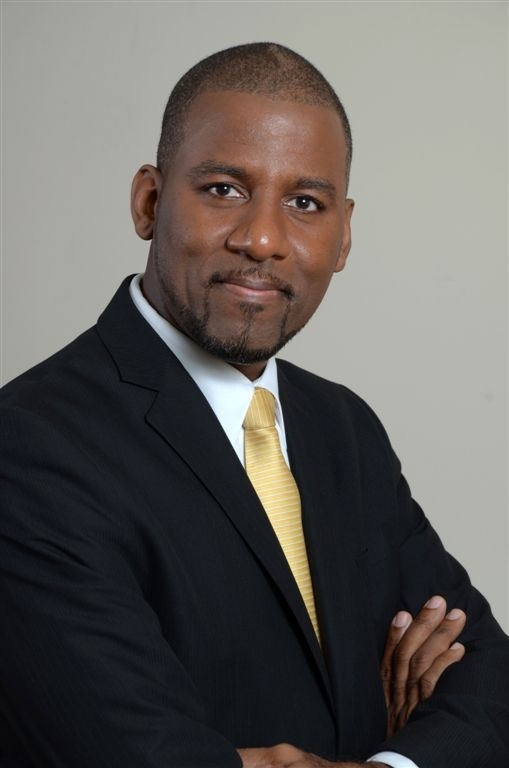 Prior to returning to Jamaica, Pastor Tucker studied Theology and Psychology in the United States of America and served as Pastor, Preacher and Worship Leader in several churches. Through a series of prophetic words and his own sensing of God’s call on his life, Pastor Tucker was lead to return to his homeland to plant a church. Still, he admitted that becoming a Pastor was never his plan. “If 13 or 14 years ago, you told me that I was going to be a pastor, I’d laugh… but the bible says that every step of a righteous man is ordered,” Tucker shared. Explaining the meaning of the church’s motto No Perfect People Allowed, Pastor Tucker said, “One of the mistakes that we make is trying to get perfect before we come to church so I am saying no, come, we will help you towards perfection as we ourselves are being made perfect. So it is Christ who does the perfecting and he uses the church to do it.” He added that catering to the whole man is intentional in his ministry and that life application is a key approach used during his sermons. Since the official launch and ordination service on November 7, True Word and Worship has been meeting on Sundays at 10am. Certainly the fun, easygoing approach will remain. 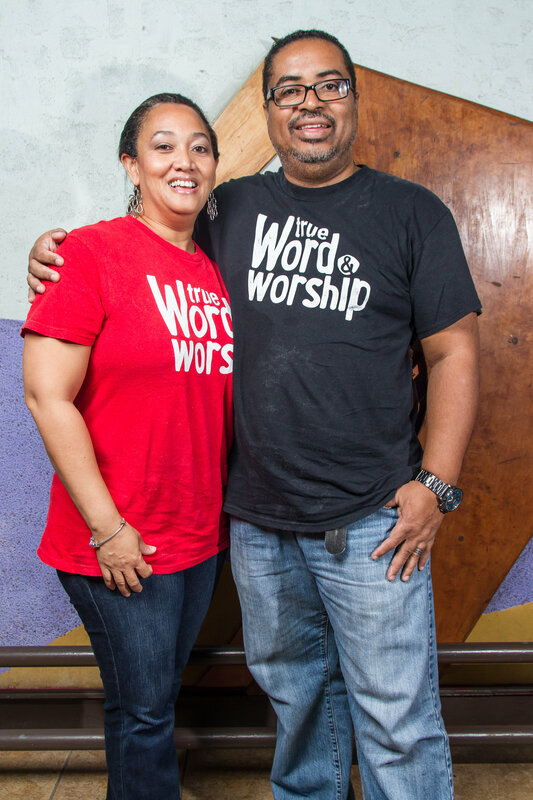 Although Trudy is a devoted behind –the-scenes supporter of Pastor Junior’s ministry, he wisely maintains that she is not married to his calling. “One of things you don’t want to do is to make someone feel that because they are married to the person they are also married to the calling. She (Trudy) is not married to my calling. Because what you don’t want her to do is now be in something that she is not called to do and is frustrated and then end up being miserable in our marriage and in our life,” shared Pastor Tucker, noting that this is why he specifically asks God for her specific calling so that her passion can also rise. No doubt the Tuckers will continue to minister the word of God and the church will grow, but Family and Faith Magazine was keen to determine how they are managing family life, especially with the notion that Pastor’s kids are oftentimes wayward and troubled. Trudy emphasized that is very important to stay involved in the children’s lives; in their music, the TV shows they watch and so on. Through a close relationship, parents have ‘entrance’ to truly discuss and influence their children’s decisions, Trudy counsels. The doting parents were also excited to share how God has blessed their lives with miraculous provision and healing. They fondly told Family and Faith Magazine how God delivered on a promise to their firstborn, Chyna. “When my oldest girl, Chyna was 2 years old, her mother pointed her finger at her and said ‘you are a getting a full scholarship at one of the best colleges in America and I’m going to pray and I’m going to ask God to bless you’ and she spoke it over her life and she kept on doing that and many nights she would lay hands on her and pray. Many times Chyna would ‘act up’ as a teenager and she (Trudy) would speak it over her life and call it (into being) and say you are what God says and God says you are going to specifically get a full scholarship and we saw it come to pass.” Chyna is now in second year at a university in the United States on a full scholarship. She was one of only 400 teenagers in the USA who was chosen for the scholarship. You would never be able to tell by just looking at the joyous Tucker household, but just 4 years ago, they lost their second child, Zoe to a major illness. Accepting that the experience must have been excruciating and knowing that they still are charging forward into God’s plan for their lives, Family and Faith Magazine wanted to simply find out what Pastor Junior and Trudy left the situation knowing. With tears streaming down and her voice quivering, Trudy points to “A tangible experience of God’s grace. There are days when you just don’t want to wake up or any regular person would probably be in depression or just can’t go any further. But then you know that there is something carrying you, literally just carrying you; you can’t explain it, cause when you should be down, you are up, you know that the fruit of the spirit is real – there is joy and there is peace.” Indeed Trudy’s experience brings meaning to the popular poem / song – one set of footprints in the sand. “For me it’s that He is sovereign,” started Pastor Junior. “I asked the Lord why did He allow her to die and He never answered me for quite a while and then one day I was in the kitchen and I heard the voice of the Lord speak to me. He said to me ‘do you love my grace’ and I said ‘yes Lord’. He said to me, ‘what is grace?’ and I said ‘Grace is undeserved favour’. He said ‘you love my grace don’t you?’ I said ‘yes Lord’. He said you’ve never questioned my grace. Then he said to me, who can question my grace when I give it? I said ‘nobody Lord.’ He said, ‘In order for me to give grace I must be sovereign because only a sovereign God can give grace. You love my grace but you don’t want to love me when I am sovereign. In order for me to grant grace, I must be sovereign,” the Pastor remembered. While his reverence for God has grown tremendously, Pastor Junior admitted that he remains heartbroken. Nevertheless, the man of God continues to hearken to the voice of the Lord and pursue His will. Recently, in addition to launching True Word and Worship, Pastor Tucker launched a new 12-track island worship album, Jesus Famous and hosted a worship party at New Kingston Shopping Centre. 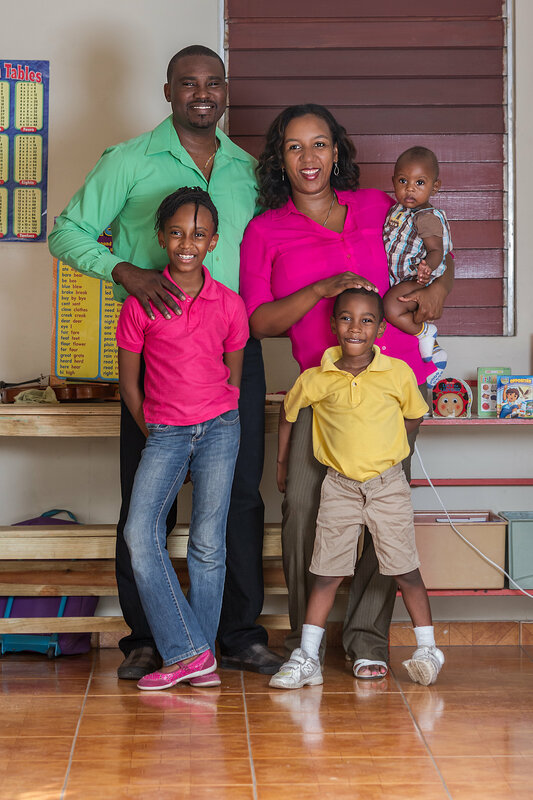 When Family and Faith Magazine visited the beautiful home of Michael and Lynier Watson, one of their three children, 5-year Michael Junior, was keen to tell us how much he loved learning and proceeded to list all 14 parishes of Jamaica with ease. The bright-eyed, affable, caring little man is homeschooled by his parents and from all indications he couldn’t be happier about it. His sister Michaela, who achieved mastery in her Grade 3 Diagnostic mock exams, agrees. “I like when mommy teaches; I like the poems and bible verses,” the outspoken 8-year-old beamed, who was also eager to point out that “the whole school is one class.” No doubt, their 7-month old brother, Matthew is enjoying the warmth and excitement of seeing learning at home. The Watsons started to consider homeschooling a few years ago when they had some concerns about how the system supported the educational development of their children. “What I found in the system was that they would speed ahead whether or not she (Michaela) grasped a concept and I found that I was still doing a lot of teaching at home for her to be able to understand the concepts,” expressed Lynier, who is a graduate of the Edna Manley College having studied Drama and Education and has previously taught at the St. Jago High School and Liberty Academy. Nevertheless, the system wasn’t the only reason the Watsons took their children home. “I was having a prompting (from God) to do homeschool before and then Michaela started to listen to an artiste called Jamie Grace and she was homeschooled and she got interested in homeschooling and started asking me about being homeschooled, so we were considering it and we started to pray about it,” Lynier explained. 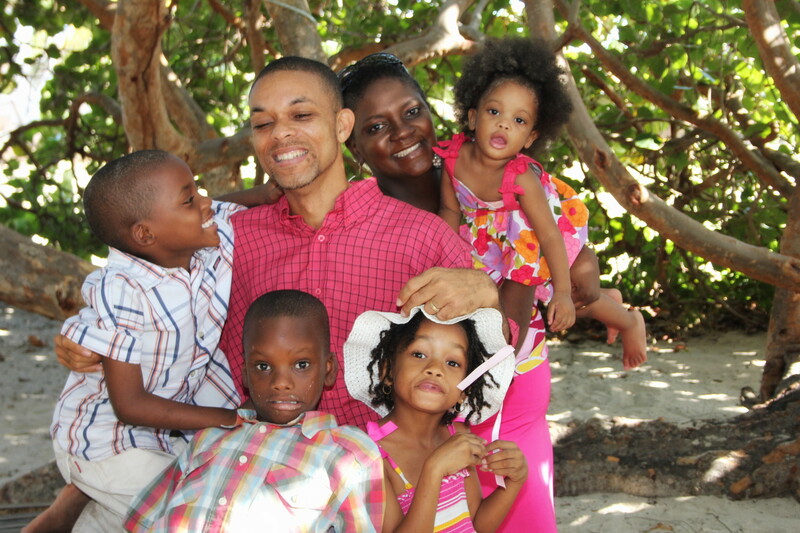 As time went by, the family started unexpectedly coming across several homeschool parents and “I realised that there was a large support group and a lot of people were doing homeschooling” here in Jamaica, Lynier said. The family decided to ‘test the waters’ by first pulling the children from their traditional school for a few days per week, then for a full term and the rest is history. “We still have a good relationship with their past school. They are registered as part time students; meaning that they do co-curricular activities there and they go there to have play time and to socialise with the children,” said Lynier. As part time students the Watsons pay a registration fee of $800 per child plus insurance and PTA fees. Co-curricular activities are free and include clubs such as boys club, girls club, prayer club and football club. Extra-curricular activities such as gymnastics, dancing and swimming however require the typical fees. Having completed the Grade 3 curriculum for Michaela and the K5 curriculum for Michael Junior at the end of the 2014/2015 academic year, the Watsons believe that the move to homeschool was the right one, particularly because now the children get to learn at their own pace, using a variety of learning styles by their mother who is also an experienced actress. 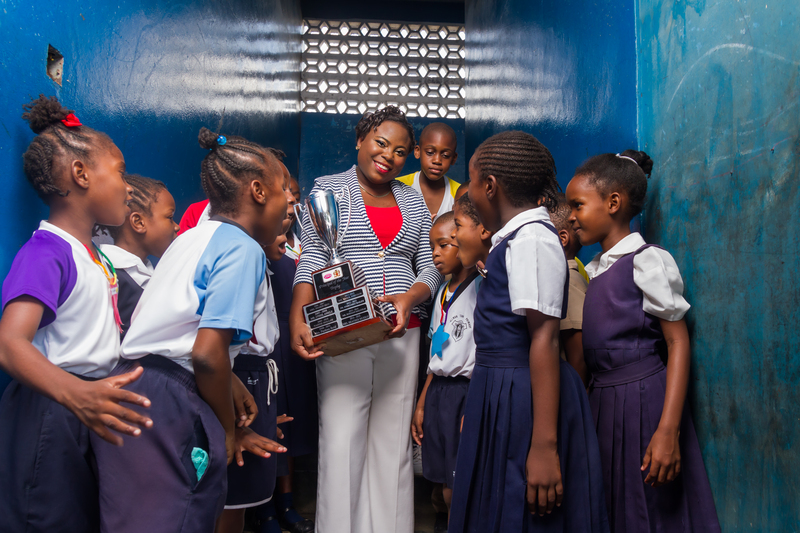 In fact, during her time in the formal education system, Lynier prepared several school groups to participate in the Jamaica Cultural Development Commission’s drama competitions. Under her expert tutelage, the children won gold, silver and bronze medals in different areas and aspects of theatre. Similar to the traditional structure, Homeschool classes for the Watsons are held Monday to Friday for 3 to 4 hours each day plus time for snack and lunch breaks. “Ideally we have devotions and then we go into circle time, which is where we recite the multiplication tables and things like that after which we do the various subjects for the day,” Lynier said. Oftentimes, the decision to homeschool represents a sort of sacrifice for the family, particularly for the parent who has to do the actual teaching at home but for the Watsons, homeschooling is a fulfillment of God’s purpose and personal fulfillment. “Right before I started to homeschool I was trying to go back to school myself and it was very hard for me when I realised that it wasn’t working out for me where the family was concerned, it was causing a lot of tension because my time was being sucked up and so I stopped”, explained the mother of 3. “Initially I felt a little resentful until the Lord started to show me my own heart and started to show me that I was jealous of other people and not listening to His plans for my life. I was looking at what other people were doing and what they were accomplishing and wanting that for myself rather than what He (the Lord) wanted for me,” Lynier said. “My attitude changed from that day on. I started to look on things from a different perspective and I feel like I am really fulfilling purpose (in homeschooling) now, so I am investing in their lives and I have been able to open up my life to support other persons, I really feel like purpose is being fulfilled and I am happy!” she told Family and Faith Magazine. 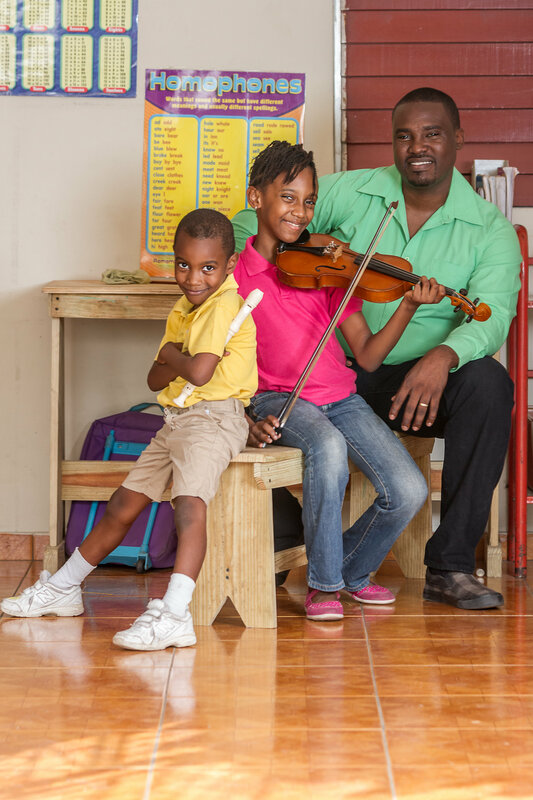 An experienced singer, worship leader and musician, Michael Watson, an Information Technology (IT) professional, who has a full time job and an IT firm, teaches music to the children and Lynier couldn’t be more pleased with his overall support. “He supports me with everything that I am doing. He is the principal, he finances everything, all the materials that we need. My husband is a provider and he provides for them educationally. I have a got a great man,” said a gushing Lynier, who has been married to Michael for 10 years. For him, the decision to homeschool has been very fulfilling. “One of the biggest things for me is that she (Lynier) tailors her teaching for the children. She is able to identify the strengths and weaknesses of each child and she uses her creativity. She looks for unique ways to break any barriers to learning,” Michael told Family and Faith Magazine. Send comments to familyandfaithmagazine@gmail.com. To access the entire August-September issue click below to read for FREE or subscribe to support! In today’s world many people suffer from unspeakable atrocities – poverty, abuse, criminal activities and a raft of devastating sicknesses and diseases. It is usually in these times that they look upward for divine intervention. It is certainly heartening to know, that when people of faith ‘look up’, their prayers and supplications are awesomely answered by the Most High God as evidenced in the life of evangelist and pastor Barrington Smith. 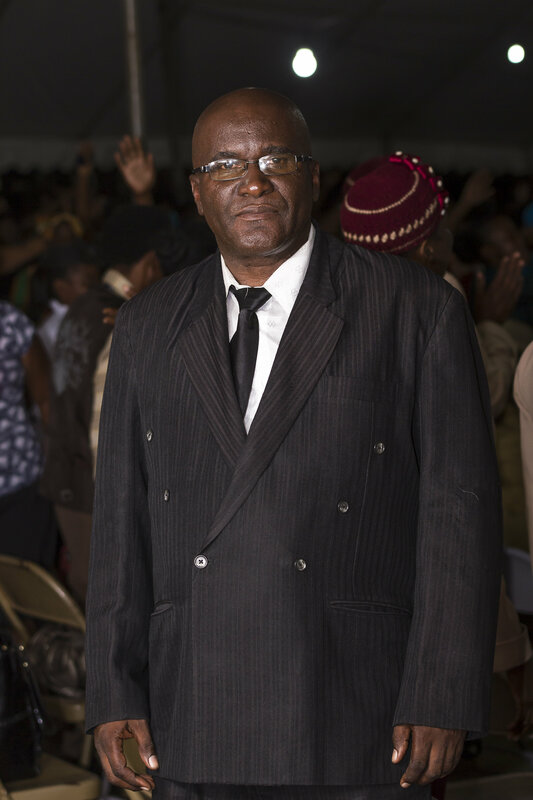 The 61-year old pastor leads a modest congregation in Savanna-la-mar, Jamaica. His church is a relatively new branch of the Jamaica Evangelistic Centre headed by Reverend VT Williams. In order to earn a living, he also operates a taxi / tour service at the Donald Sangster International Airport in Montego Bay. Nevertheless, these noble, normal, positive activities somehow belie his troubling past. About 40 years ago, the talented Pastor says he was a Rastafarian and an active songwriter and musician who performed at many secular events across the island. In keeping with his previous beliefs, he also oftentimes attended religious sessions involving singing, chanting and smoking. After a while however Smith says things had gotten extremely difficult for him from an economic standpoint. “I remember sleeping on the road. I remember putting the guitar over my head and sleeping on a towel in an open land (off Waltham Park Road)” the Pastor recounted of her former days. The young Smith later found himself to be very depressed and unable to cope with the challenges of not being able to provide for himself. This coupled with smoking marijuana appears to have caused him to lose his mind. “I figure it was the frustration of not being able to cope with the situations and smoking which overturned the whole thing,” Smith shared. “One day I got out of my mind, strip myself naked as the day I was born, walk down Waltham Park Road went into this church on Waltham Park Road. At that time Bishop VT Williams was preaching. I went in there (the church grounds) and started to smash the cars with a piece of rod I had in my hand,” Smith told Family and Faith Magazine. “Well the young men came out and they held on to me and stop me from hitting the cars. Bishop VT Williams also came out and he prayed for me and immediately I was delivered and set free,” he proclaimed. 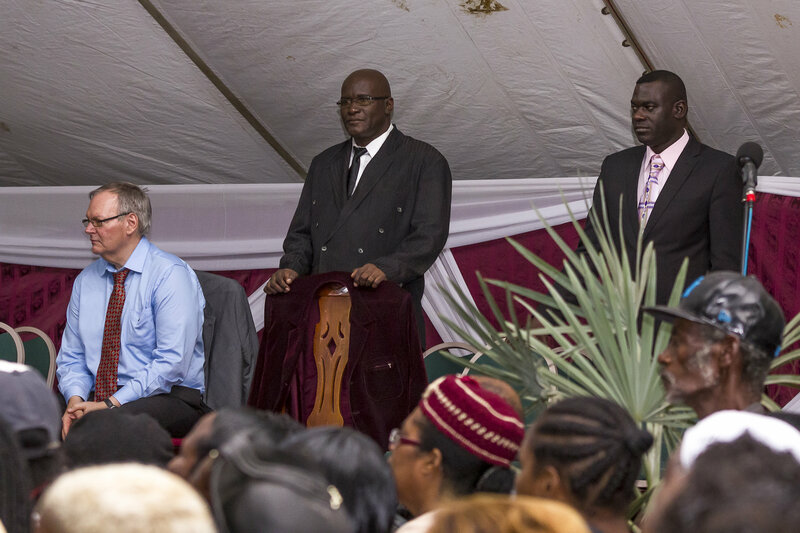 With nowhere to live, the gregarious Bishop Williams provided clothing for the young man and offered him a place to live on the church compound and as well as nourishment for approximately 3 years. “They took care of me,” Smith declared, who also accepted the Lord Jesus as His Saviour and was later baptized. He also learnt refrigeration as a trade and started to earn a living through the kindness of others. “There was a gentleman who needed a fridge to be fixed. I told him I could fix fridge but I didn’t have any tools and he told me and he could buy me some, so we went down to Appliance Traders and he bought me a gauge, gas and a welding torch and some of the tools that I needed and I went by his home and I fixed the fridge he had. And then I start to go around a look jobs from people and then I opened a little shop not far from the church, (across the road) and from then I started to help myself,” said Smith. The young lad eventually bought a motor car for $800 and started fixing refrigerators in other parishes including St. Thomas and Montego Bay. He also went back into music, this time writing songs about the goodness of God. With an album aptly titled “Thank You Lord,” Smith has written songs such as “Nothing is impossible” and “It is No Secret” among several others. Now, after about 4 decades since that fateful Sunday morning, things have come full circle for the restored young man turned pastor. In 1975, someone reached out to him with anointed prayer, provision, shelter and kindness, now, Smith has the opportunity to do the same. See the main feature for our March issue below! Jala Ridgard doesn’t look a day over 26 years or so. She is warm, youthful, practical, and generous, with a beautiful, easy smile befitting her personality. Maybe it is the love of her adoring, easy-going husband, Wade Ridgard, and the birth of her 8 biological children that keep the 36-year-old looking so young. Family and Faith Magazine was eager to get to know Jala, Wade, and the bounteous Ridgard clan, so we took the trek up the cool, misty hills of Irish Town, St. Andrew to sit, sup, and share in their lives on a beautiful Sunday afternoon after church. 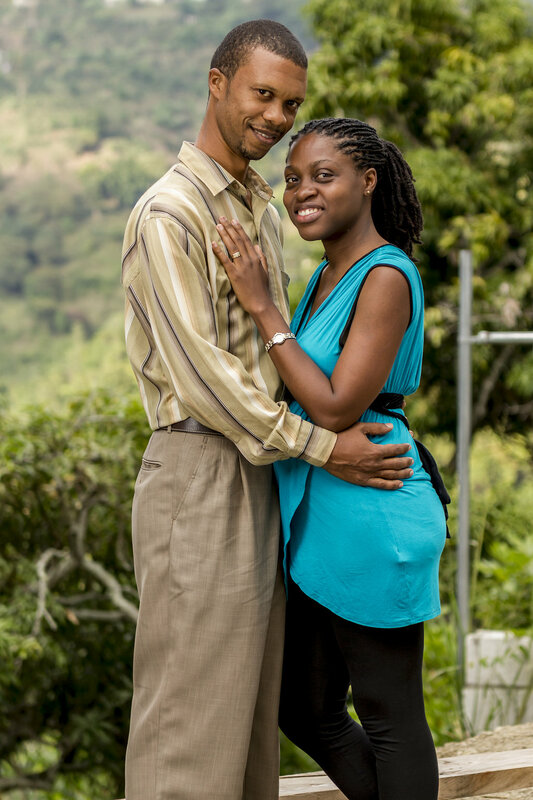 Jala and Wade have been married for 10 ½ years and during that time they have been blessed with not 1, not 2, not 4, but 8 beautiful children: Isa, aged 9; Hannah, 8; Seth, 7; Luke, 6; Grace, 4; Nailah, 3; Samuel, 20 months; and 2-month-old daughter, Hope. Today’s modern family oftentimes wouldn’t willingly have more than 2 or 3 children, much more 8, but the Ridgards maintain that their lives are ‘not their own’ but rather are submitted and surrendered to Christ, even as it concerns the very personal and sensitive subject of reproduction. 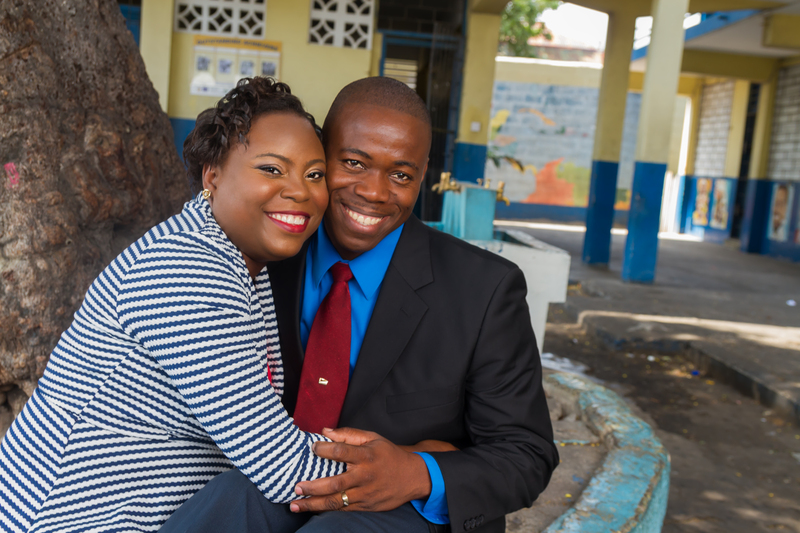 Jala, who is from Kingston, and Wade, from St. Ann, met in 2003 through a shared passion for outreach and volunteerism. Through a conspiring of Wade’s father and a suggestion from Jala’s mother, the two eventually had the opportunity to interact. They were increasingly drawn to each other and became solid friends before ultimately tying the knot in 2004. “I found that in spite of the fact that at the time I had this commitment to the Lord (to be alone for 2 years) I felt drawn to her instinctively,” shared Wade. Continuing, he explained that “we started seeing each other randomly. (For example) my brother was getting ready for his best friend’s wedding and he would just say ‘Wade let’s go to town.’In the middle of the week, I would go to Boulevard Shopping Centre and Jala would be there, or we are coming for a conference at the (then) Hilton Hotel and Jala shows up there.” With Wade living in St. Ann and Jala in Kingston,all of these interactions were unplanned. “I became convinced that God was setting us up and creating opportunities for us to talk and to get to know each other,” expressed the doting husband and father. 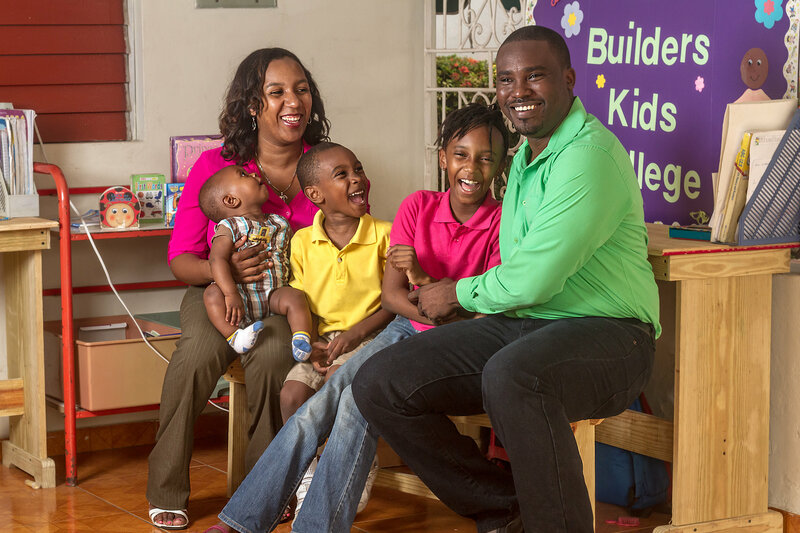 Coming from families with siblings, both Wade and Jala expected to have children and to build a happy home together. 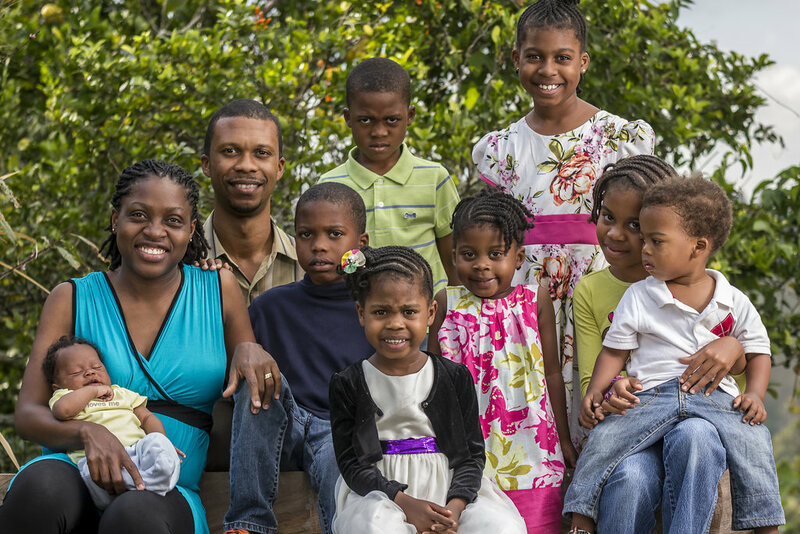 Before they wed,Wade joked with Jala about having as many as 12 children, but the two eventually settled on 4. However, it seems that God had bigger plans for the young lovers. In the early days of their marriage they embarked on a 40-day fast with family friends. Jala shared that during that time the Lord spoke to her about reproduction. “After we had devotions with them, I heard the Lord say that I want you to surrender your reproductive capabilities to me,”explained the mother of 8 children. “I didn’t know that it would lead us here, but my answer was yes,” she declared. Her apparent obedience notwithstanding, Jala didn’t immediately stop taking oral contraception, the birth control method she used at the time. It was after learning more about how the pill workedand its negative effects that she eventually stopped taking it. Asked if she is going to stop at 8 or continue having more children, Jala says she hopes she has the courage to continue to obey. “You commit to living a lifetime as a Christian, you commit to doing whatever the Lord asks you to do, but daily you still have to walk it out. It is like every day you have to make that decision again and again. I guess my answer is that I hope I have the courage to obey Him all the days of my life,” she said humbly. Her husband is also committed to their chosen path even though at first he questioned if Jala had really heard from the Lord. “At first when she said it to me,I actually doubted that she had heard from the Lord…Yes I wanted children but I wanted to ensure that when the children started coming our relationship was solid and we were prepared in other ways, as well financially and stuff,” he told Family and Faith Magazine. Wade truly struggled with giving up complete control to God but eventually rested in God’s will. Theoretically, he says, he always knew he didn’t belong to himself but to God and therefore had to obey what he believes the Lord had called him and Jala to do. Ultimately Wade started to learn that living what you believe takes real courage. “Walking this out was revealing to me how little I really believed it and practiced it.So every time I would be tempted to gripe or complain about how things were working out, how quickly the children were coming, having to deal with the criticisms, the cynical remarks and stuff, every time I try to argue with God about it, or try to get some scheme to regain control, I would hit up on this brick wall, that basically I am a servant and I don’t have the right to my own will,” he confessed. Asked how he feels about having his 8th child in January 2015, Wade says, “Great! My only concern was that Jala would be ok and once I saw that she is ok, I’m fine.” The courageous couple welcomed each of their 8 children through normal,uncomplicated births with typical labour pains.They are now reaping the fruit of a bounteous family. Of course, this is not how some view the idea of having more than 2 or 3 children. The family has endured criticism for their choices but they maintain that children are a blessing from the Lord. “For a non-believer, I get it; my life doesn’t need to make sense to you and it shouldn’t because this walk is with someone they don’t know,” shared Jala. “But for the believer, for me, it is ‘Whose report will you believe?’From Genesis to Revelation, He is saying again and again, children are a blessing, children are the heritage of the Lord. The person is happy who has many, happy is the man who has his quiver full. So He is constantly saying having children is a good thing.So for me, everything points to the fact that children are a blessing and if we really truly believe that, how then can we limit it, because we don’t limit it with anything else that we call a blessing?” she reasoned. Raising children in any economy these days can be a serious challenge but the Ridgards declare that God has proven Himself to be their provider again and again. A project manager at Fusion West Indies (a youth outreach ministry), Wade testifies that “God has shown His ability to provide in so many ways.” For instance, while living in Moneague the family was struggling, but after much prayer, Wade says “the Lord spoke to me and said I am going to send you back to Kingston because that is where I have provided support for you.” A few weeks later, he received an unexpected job offer and the family moved to Kingston. In terms of education, the couple decided to homeschool their happy bunch. Wade, being the more philosophical one, was very attracted to the idea of homeschooling from the get-go, while Jala, the pragmatist, was more focused on the economics. Initially,“I didn’t want to homeschool,” she admitted. “They go to school, I wave goodbye and I have my day free. I have enough to think about when they come back home. 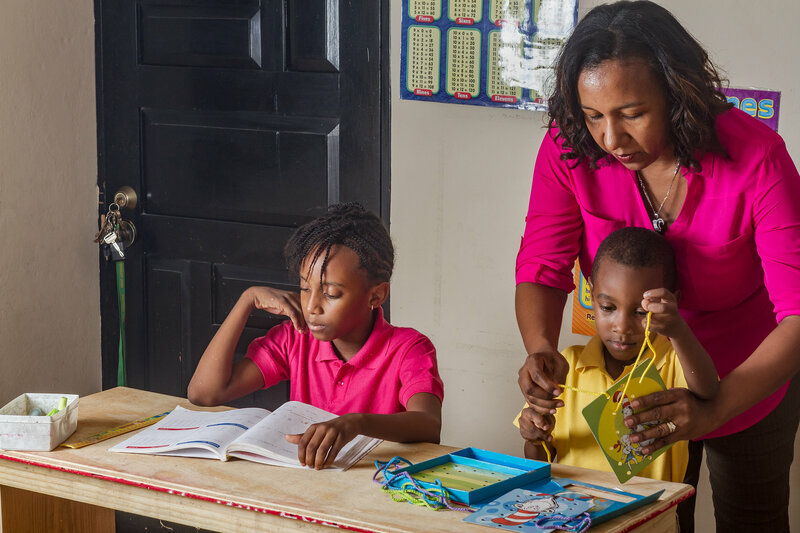 But by that time we had started to feel the financial pinch in 2007 with the financial crisis, so from an economic side it made sense,” explained the practical mother who has the awesome responsibility of planning lessons and teaching the school-aged children. After teaching for quite a while, Jala is now completely passionate about it. “I’m passionate about the results and the good things that come out of doing it myself,” said the university graduate. Jala says she will continue homeschooling for as long as she is successful at it. See the main feature for our February issue below! You Have To Fight For Love! 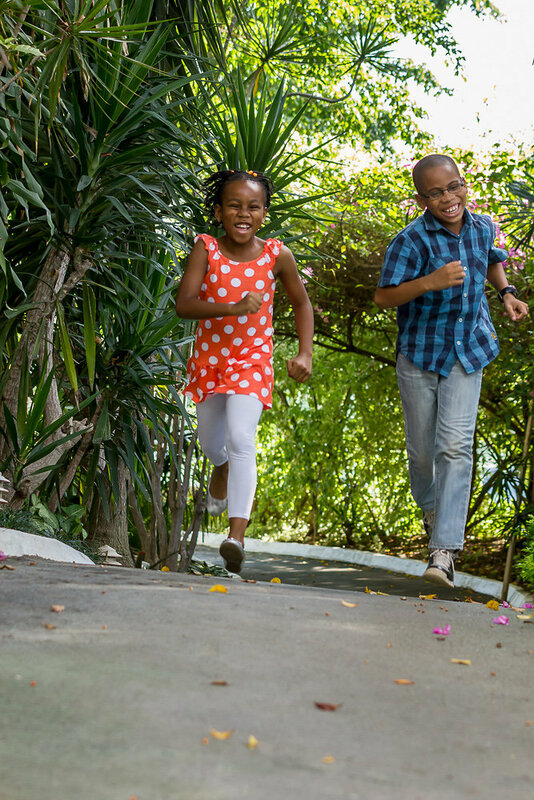 When Marvine and Zeelah Davis and their two adorable children walked into the garden at the Jamaica Pegasus Hotel for their interview with Family and Faith Magazine, there was an air of great comfort and easygoing love. The affectionate couple was obviously very close, endearing friends and lovers, with a smile, a laugh and a kiss lingering not too far from the corners of their lips. We met up with the Davises to talk about love and to glean from them some of the lessons they have learned after serving as couples’ ministry leaders in their local church for over a decade. Ultimately, the wise couple emphasized that you have to fight for love. Let’s delve into their engaging love story and also hear what they have learned from the stories of others. After 21 years of love, some married couples can understandably get tired of each other or simply lose the ‘fire’. Well, not Marvine and Zeelah. The two lovebirds, who met in college many years ago, have maintained a strong, thriving friendship since then, oftentimes finishing each other’s thoughts and sentences as they spoke to Family and Faith Magazine. A sense of humour is also one of the key characteristics of this fun-loving couple, displayed in their two different recollections of how they first met. According to Marvine, “We met at Exed (Excelsior Community College) and he (Zeelah) was actually checking another girl when we met, so he doesn’t remember that we were introduced, but I remember being introduced to him at Exed library,” she chuckled, with a gleam in her eye. Zeelah, on the other hand, remembers it another way. “Marvine was the friend of a guy who was my best friend at the time, so we were just joking around one day and I said, ‘Yuh need to decide if a me yuh like or a him yuh like,’ and I remember she just started to hang around me. So that is what I remember,” he smiled, being the obvious victor. Even if the story of how they met is still up for debate, their commitment and love for each other are clearly anchored. Asked how they knew that marriage was the next step for them after dating for several years, the couple testified of having the ‘peace of God’. “One day he was on the bus and the Lord said to him, ‘How can you get married without asking Me?’ and he actually at that point prayed about it and said, ‘Lord, is it Your will for me to get married to Marvine?’ And that was when he said the peace came over him and he was really good with the idea that this was it,” shared Marvine. “For me, it was the same. I prayed about it,” she continued. “We had a lot of things in common and just praying about it and getting that peace and knowing that the person feels the same way like you, that was really what did it for us,” she said. 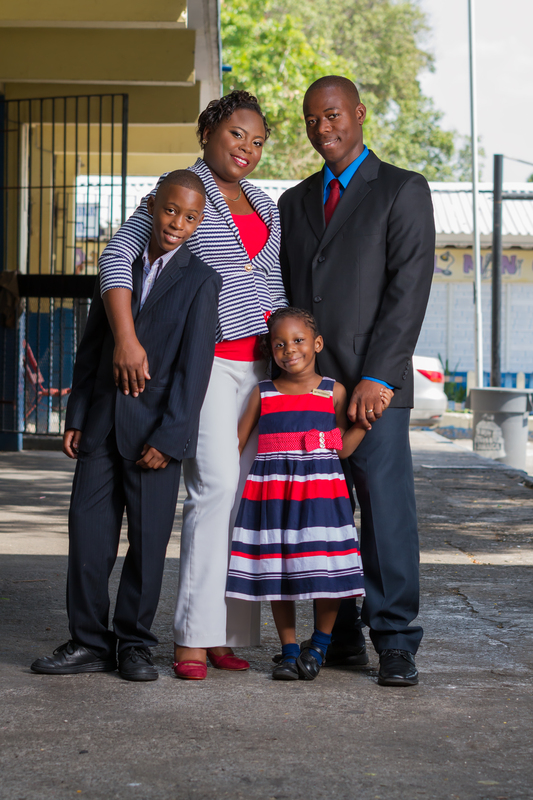 Over the years, Marvine and Zeelah have managed to develop their individual careers in paralegal services and information technology respectively, even as they build a beautiful life and expand their family, with 11-year-old Jevon and 9-year-old Justine. A stickler for good nutrition, Zeelah does most of the cooking in the week, every morning before leaving for work making wholesome porridges for Marvine and himself, as well as healthy, nutritious lunches for the entire family. Marvine, on the other hand, makes breakfast for the children and cooks on the weekends. The pair have also spent more than 10 years spearheading and leading a couples’ ministry at their local church. Over the years, they have gained quite a bit of insight and wisdom on how to make a marriage successful. Of course one of the key principles is communication. “Once one party stops talking and sharing, when one person decides that they are going to clamp down, that can be the beginning of demise,” explained Marvine, noting that there is always a lot to talk about. “In the Bible when it says that divorce was only allowed because of the hardening of someone’s heart, it always comes back to communication, because if you stop communicating it means your heart can harden,” Zeelah added. Besides the age-old principle of communicating effectively, the two stressed that couples need to focus on the simple things. Unwillingness to do these simple things is where the hardness of the heart comes from, the couple contends. “If you are not fighting for it, if you are not believing in what it is supposed to be, then you are either going to end up alone or it is not going to be a family anymore,” they warned. Are You Fighting For It? “It is a consciousness, so you listen to the Holy Spirit, so that when you get bogged down, you can overcome it,” continued Zeelah. The couple further advises that their ability to love each other and overcome challenges is based on their faith in Christ. With so many years of experience working with couples, the Davises shared their perspective with Family and Faith Magazine on recovery after infidelity. Can marriages really survive? “Too many persons believe that after infidelity there can’t be restoration. I don’t think that is true, but a lot of persons believe it because of what society has taught us,” reasoned Marvine. “Especially in Jamaica, ‘bun’ hot in Jamaica, nobody nuh waan get bun and if your friend knows, you are the laughing stock and it’s just that pressure of society why people believe you can’t recover,” added Zeelah. The two urged those suffering from the repercussions of infidelity to seek counselling. But they also insist that couples must first of all know what they want and stay focused on the relationship. “You need to know what you want all the time, so if you lose focus in your marriage and something else is going on, you need to take stock of yourself,” advised Marvine. “I can’t fix Zeelah. Zeelah needs to assess himself and know if this is what he wants. And it is the same for me,” she continued. “Every now and again, I have to step back and assess where we are, where I am at. Am I doing the things that breed that love and togetherness? And in doing that, it (the process) usually speaks to me and then I change. I don’t wait for him to change, or force him to change,” she explained, noting that every marriage requires work. For the Davises it is the work of holding hands, gazing into each other’s eyes, completing each other’s sentences, cooking meals together, apologizing after arguments, praying together and reading the Word, all the while relying on the Holy Spirit for strength and guidance. In the end, it appears that the Davises are equal to the task. What do going dancing at midnight, having weekly Communion at the dinner table, hugging every morning, and putting on mini-concerts at home all have in common? They are cool, grounded, faith-filled habits that characterise the amazing Redwood family. 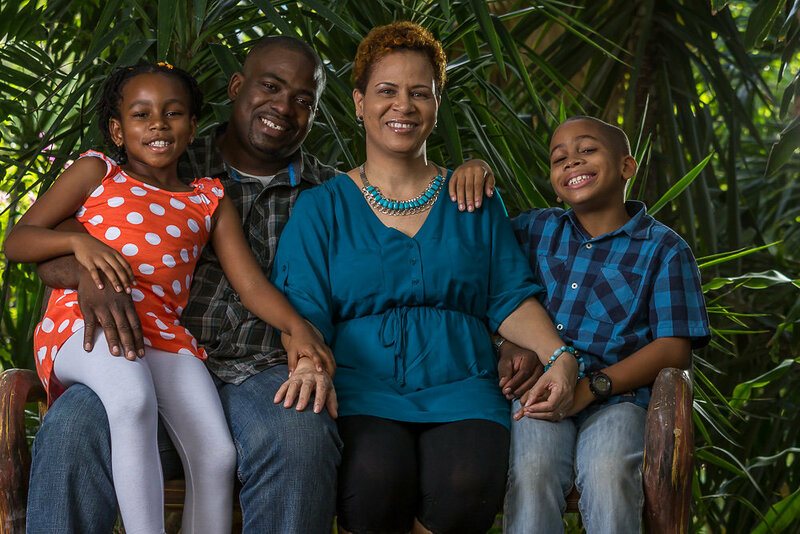 Family and Faith Magazine caught up with wife and mother, Sharon Redwood to learn about her abiding faith and how it impacts her amazing family. Like many Christians, Sharon Redwood gave her life to the Lord during school days, back-slid, and later as an adult, recommitted her life to the Lord. Since then, she has been faithfully walking with God for the past 19 years. A banker by profession, Sharon has been providing training at one of the leading financial institutions in Jamaica for 25 years. 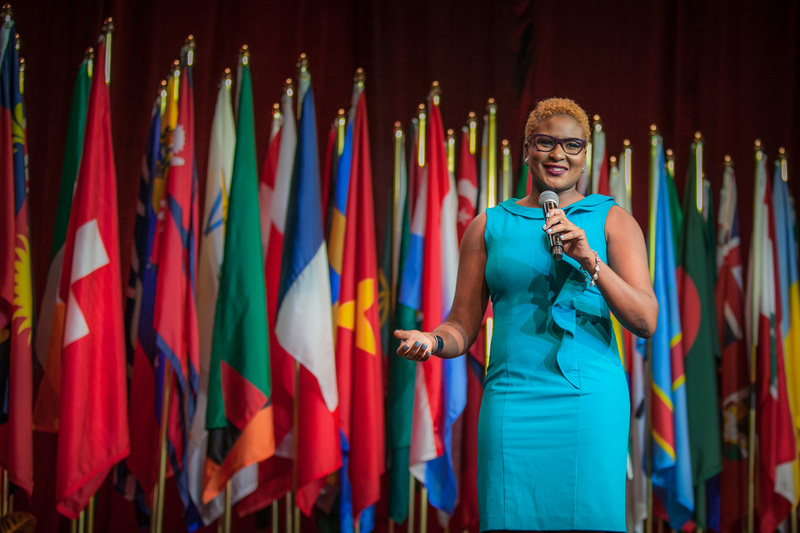 A lover of impacting the life of others, she also holds down 2 other jobs, lecturing business policy and strategy at the University of the West Indies Open Campus and the University College of the Caribbean. In any given online class, Sharon could have students from as many as 12 different countries. As accomplished as all of that is however, perhaps the most amazing thing about the bubbly, warm-spirited dynamo is her deep love and commitment to family and to serving her God. 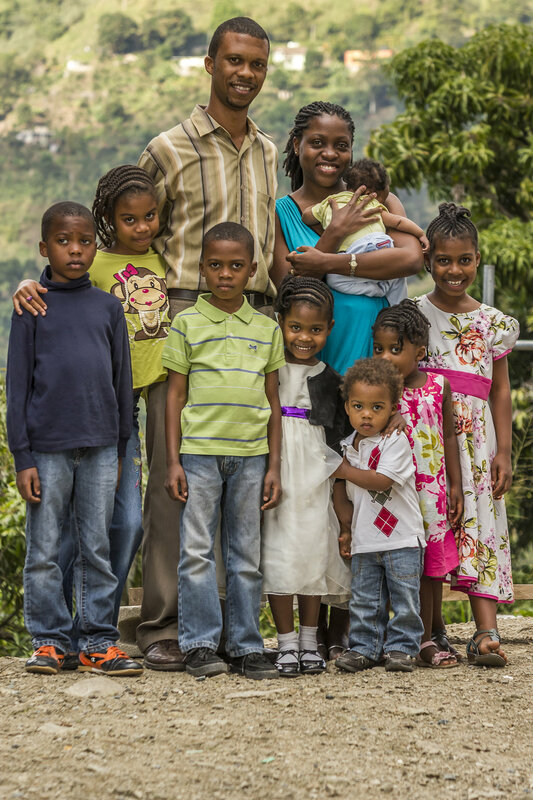 Going by modern standards, Sharon and Marshall Redwood, her husband of 17 years, have a large family consisting of 4 children: Israel, age 10, Immanuel (8), Isabel (7), and Elizabeth (2). According to Sharon, she started having children late, 6 to 7 years into marriage, largely because she was completing her studies. During that time, she became fearful that she might not be able to have children, and unkind comments didn’t make it any easier. “People wey kill up themselves a study, a cause dem cyan breed yuh nuh,” she remembered hearing. “So I was really worried,” she told Family and Faith Magazine. That gnawing fear would however quickly subside with her first pregnancy. Still, even though God was clearly with her family, the journey wasn’t free of serious challenges. “In 2004, I was pregnant with twins and they were in different sacs and I was very excited, but it was short-lived because then I started having some difficulties. One (of the twins) was always very active, busy, moving up and down and the other was just always very quiet. And then one day my body aborted one of the babies. When I went to the hospital I was really worried because that night they didn’t have the machines and nobody was available to check if there was another baby left, so I went home that night not knowing whether I lost one or two (babies),” she recalled. Sharon was 3-months pregnant during that horrifying time. “I went to do the ultra sound the following day and there was one child still there but the miraculous thing about it was that my womb was closed. Normally you have a miscarriage, your womb is open. It was closed and there was absolutely no sign of the other baby,” she said. As if the circumstances of her pregnancy weren’t incredible enough, Sharon shares that prior to even becoming pregnant she received a prophetic word about her firstborn son. “About 3 years before he was born, a friend and I were praying and she told me that the Lord said the child that he is going to bless me with should be called Israel, and Israel means overcomer.” The ‘overcoming’ boy was born in October 2004. The following year, he was joined by his brother Immanuel and then in 2007 by a sister, Isabel, but the Redwood’s quiver wasn’t quite full as yet. Sharon remembers another message from God about the birth of a fourth child. “So Isabel is 6 months old and I am nursing and a church sister calls from Atlanta and says Sharon the Lord says he is going to bless you with a fourth child, and the Lord said the name should be Elizabeth.” It must have been a challenge to process that word when 3 other young children demanded Sharon and Marshall’s attention, but they embraced the word and Elizabeth was born in 2012. 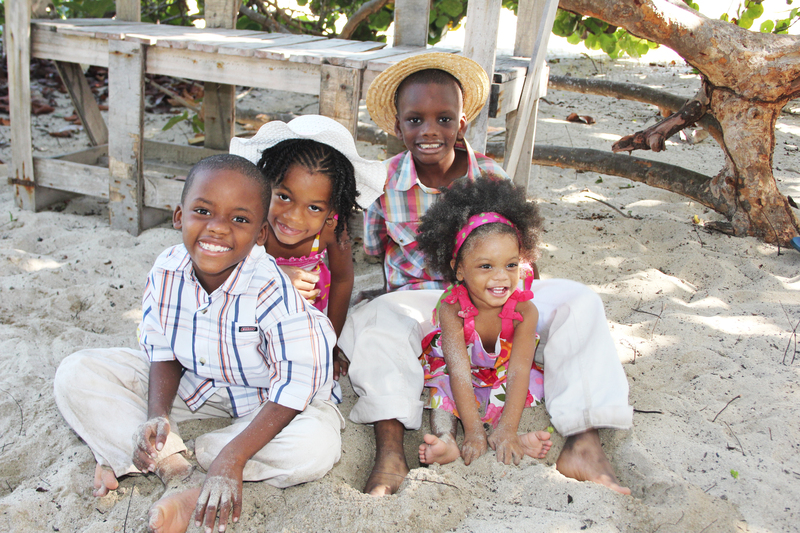 The 4 children are a delight to behold with each having a distinct, fun-loving personality. Over the years, it appears that Sharon and Marshall have made good on the spiritual development of these predestined children. “Israel is 10 now. He got baptized 3 years ago and he was so passionate about wanting to give his life to the Lord. And a year and a half ago, his brother and sister came saying they want to give their lives to the Lord. So Immanuel and Isabel got baptized together.” It all sounds very much like a Christian fairy-tale of wonderful children being prophesied about before conception, like the great prophets in the Bible, such as Jeremiah. However the Redwoods have not left the raising of their children to chance. As part of their family tradition and their efforts to ensure that their children experience God, the Redwoods have Holy Communion at home as a family on a weekly basis. “Between Monday and Tuesday each week we come together at the table and have Communion. Marshall always makes them read a section of the Bible that speaks about Communion and one of the boys always reads and while he is reading, then we are taking the Communion.” Holy Communion is one of the fundamental traditions and commands of the Christian faith. Of course the children go to Church and are engaged in children’s ministry on a regular basis, but they also have family devotions, usually in the car in the mornings, and oftentimes read Bible stories at night. 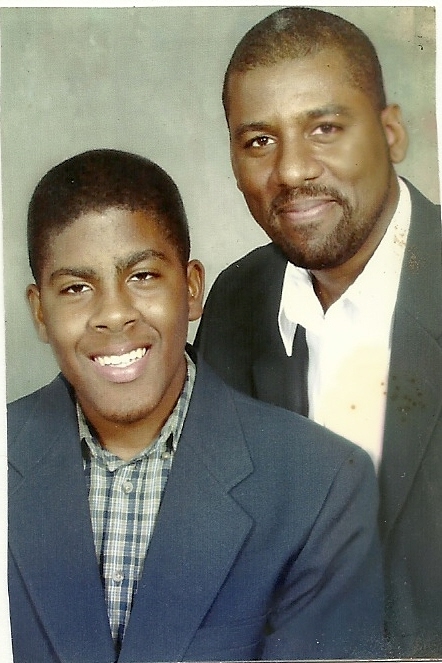 Still, raising godly children is only part of the challenge. Having 4 young children in school can be a very expensive undertaking – school fees, extra-curricular costs, books, and other expenses can sometimes feel like another mortgage. However Sharon says God has shown her family so much favour over the years, it almost feels like they are “walking on water.” While God continues to provide, the Redwoods have also used wisdom to care for their family and make ends meet in these challenging times. In addition to pick-up, the father of 4 plays his part in the kitchen. “My husband has a running joke at home where he says that since we have been married, he doesn’t think I have washed the plates 5 times,” Sharon chuckled. “So we have our tradition in our house where I will cook but Marshall will wash the dishes,” said the smart, corporate mother. When it comes to homework, both Sharon and Marshall do their checks but Sharon is more involved. “When I come home, it doesn’t matter how many papers I have to mark, how many times I have to go online and respond to my students, when I get home it’s about their homework. I take all 3 bags (Elizabeth doesn’t have homework just yet) and flick through every exercise book to see what they are doing well, what is not going so well, what I think they should be doing over, and I’m fully involved with the homework and the extra activities,” said the devoted mother, who is also an active member of the Parent Teacher’s Association (PTA) at her children’s school. After 4 children and 17 years of marriage, Sharon said she and her husband still deeply love each other. Recently, a few days after her birthday, Sharon described her husband as ‘an amazing man of God’ on her social media pages. How many married women can sincerely say that about their husbands? Perhaps part of what makes Sharon think Marshall is so amazing is his prayer life. “No matter what is going on in our lives I can’t wait to see him to talk about it and pray about it because our life on a whole is about us just coming together and believing to see God come through. One of the things I love about him is that he has really been that anchor. He is always praying for me. I will wake up and find Marshall praying for me,” declared Sharon. She emphasised the importance of the power of agreement in making marriages and families strong to weather the storms of life. On a practical level, she added that “one of the things we agreed on was that rather than us blaming each other and arguing (about finances, building our home etc. ), we would get up in the morning and hug each other, and that has really helped us,” she said, confessing that she is usually the one to lose her cool, while Marshall tends to always be calm. At the start of a new year, when people generally reflect on their goals for the future, Sharon reflects on her desire to become a professor, but more than that, on the deep need to spend more quality time with her family. After all, “nobody on their death bed wishes they had spent more time at work. They always wish they had spent more time with their family,” she admonished. A beautiful story which demonstrates love and commitment. May the Lord continue to bless them and cause their lives to positively impact others. Sharon you are a great inspiration. You and Marshall are role models. May God continue to bind your marriage and family together with cords that cannot be broken. Wonderful story of love, faith and hope! You both have been an inspiration and continue to be. Keep doing what you’re doing. Setting the example for many to pattern. Love you both. Miss being your neighbor! Absolutely beautiful story Sharon. You have restored my hope that there are still God – centered marriages around. May the Lord continue to bless your union with uncommon favour, and His blessings continue to chase you down. Also knew you were destined for greatness! Maybe, just maybe I will experience that kind of love one day, it’s never ever too late for God 😁😁😀. It’s 1:31am and I am up reading …these real life story has really touched my heart …I stopped at one now I feel disappoint and now ask my self ” did I give our Grand Creator my full quiver ? My daughter is 24 and grand daughter 14 months I pray Jehovah bless her with more . I would say I haven’t gotten the happily ever after I had hoped for…..almost 21 years ago. But reading these family stories, I am so encouraged to seek God’s will for my life – separated and single parent. I can be fulfilled even in my current status. I need to surrender all to Him! God bless you Karen! Thank you so much for your kind words and may God make the latter days better than the former!